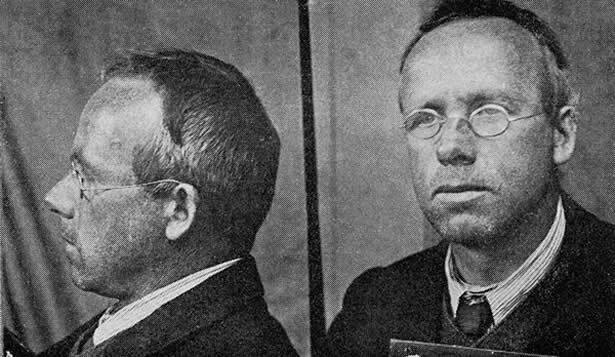 Peter Fraser’s trial in the Wellington Magistrates’ Court was the sequel to a speech in which he attacked the government’s policy of military conscription. Convicted of sedition, Fraser served a year in prison. As the First World War dragged on, enlistment rates slowed after the initial rush to volunteer. The government responded with the Military Service Act in August 1916. This introduced conscription, initially for Pākehā men only (see 16 November). While limited exemptions were given to members of specific pacifist religious groups, no allowance was made for socialist and labour objections to the war. On 4 December 1916 the government issued new regulations to control dissent, which contained a broad definition of sedition. On 20 December police arrested Fraser and charged him with inciting ‘disaffection against the Government’ at a meeting 10 days earlier. In court, Fraser argued that calling for the repeal of the law, rather than for disobedience or resistance to it, was legal. The judge disagreed. Somewhat ironically, Peter Fraser was prime minister when New Zealand reintroduced conscription during the Second World War. We have 9 biographies, 21 articles, related to Future prime minister charged with sedition.